LOS ANGELES, CA--(Marketwired - May 19, 2016) - Securonix, the pioneer behind user and entity behavior analytics (UEBA) for information security, announced today that CEO Sachin Nayyar has been named Visionary CEO of the Year by the prestigious CEO World Awards®. The annual CEO World Awards program recognizes the world's best in leadership, innovation, organizational performance, new products and services, CEO case studies and corporate social responsibility. Organizations from all over the world are eligible to submit nominations including public and private, for-profit and non-profit and new start-ups. "It's an honor to be named Visionary CEO of the Year with this esteemed industry award and peer recognition," said Nayyar. "My vision to leverage big data analytics to solve critical security problems has been realized because of our strong partnerships with our customers and our team's dedication to customer success. Together we continue to innovate and deliver groundbreaking solutions for information security." 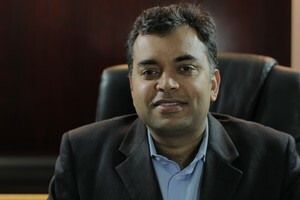 Nayyar has led Securonix through tremendous growth and expansion. The company is now the fastest growing enterprise security analytics solution provider offering innovative capabilities that combat advanced, targeted, cyber, and insider threats with real-time, deep learning capabilities. Since pioneering the user behavioral analytics for enterprise security, Securonix has continued to introduce new products and market defining innovations. Most recently, the company announced the general availability of its Hadoop-based product SNYPR, a big data security analytics platform that allows organizations to ingest and analyze petabytes of data in real time, delivering true predictive threat detection and unprecedented historical investigation capabilities. The CEO World Awards are an annual industry and peers recognition program honoring CEOs and companies of all types and sizes in North America, Europe, Middle-East, Africa, Asia-Pacific, and Latin-America. Winners will be honored at the 2016 SVUS Red Carpet Awards Ceremony Dinner in San Francisco on Monday, June 27, 2016. Learn more about The CEO World Awards at www.ceoworldawards.com. Securonix is working to radically transform all areas of data security with actionable security intelligence. Its purpose-built, advanced security analytics technology mines, enriches, analyzes, scores and visualizes customer data into actionable intelligence on the highest risk threats from within and outside their environment. Using signature-less anomaly detection techniques that track users, account and system behavior, Securonix is able to detect the most advanced data security, insider threats and fraud attacks automatically and accurately. Globally, customers are using Securonix to address their most basic and complex needs around advanced persistent threat detection and monitoring, high privileged activity monitoring, enterprise and web fraud detection, application risk monitoring and access risk management. For more information, visit www.securonix.com.